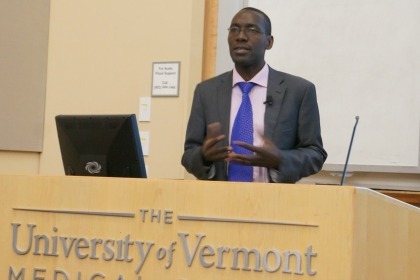 (APRIL 12, 2016) WCAX-TV Channel 3’s morning news spoke with UVM and Western Connecticut Health Network Global Health Program partner and guest Robert Kalyesubula, M.D., who discussed ACCESS Uganda, the focus of his April 5 Community Medical School presentation. Watch the interview from WCAX-TV. View Dr. Kalyesubula’s Community Medical School presentation.